From Wednesday March 7th to Friday March 9th, Contship participated in the first edition of "Green Logistics Expo" in Padua. In this innovative exhibition, efficiency met the environment; more than 240 exhibitors and 5000 visitors crowded the expo area’s 20.000 square meters. Here, leaders Intermodal Transport industry, Industrial Logistics, E-Commerce and Services for the “Smart City” gathered for three days of networking and business development, attending conferences organized in collaboration with the industry, public institutions and research agencies. In Padua, the Contship Italia team had the opportunity to meet customers, partners and suppliers to discuss the benefits of intermodal transport and sustainable supply chain solutions available throughout the group’s maritime terminals and intermodal logistics network. “We are glad to see that the issues of environmental, social and economic sustainability have rising priority on the agendas of large and small logistics companies, in Italy and worldwide” – comments Daniele Testi, Contship Marketing Director. “Contship is a true pioneer when it comes to this: since 1969, Contship integrated logistics model provides port-to-door connectivity through smart, clean and sustainable intermodal solutions. We continue to push in this direction, because we know that the pursue of sustainability is the only way to ensure the long term growth of each company and to improve the development of innovative products and services capable of leveraging technological innovation to produce more and better - through an intelligent use of available resources”. 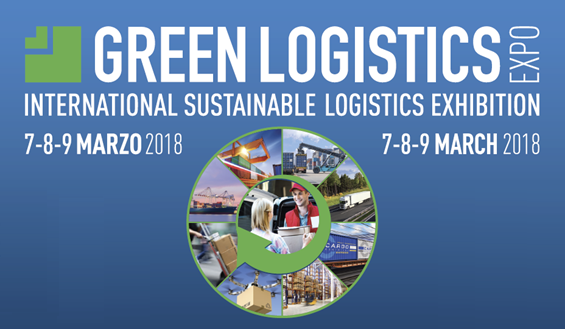 Green Logistics Expo – Padua will be back in 2020, see you there!